Between meal snacks for kids are a challenge for me and it’s all too easy to grab a processed packaged option – easy, but not always healthy. I needed a way to offer my family healthy snacks that were quick and convenient, and so I put together a grab-and-go snack box in both our fridge and pantry. We don’t have to think about it – just choose something from the tub and it’s all done and ready and healthy as well! No more “Mom, there’s nothing to eat!” . The kids can choose for themselves and I know healthy choices are being made. 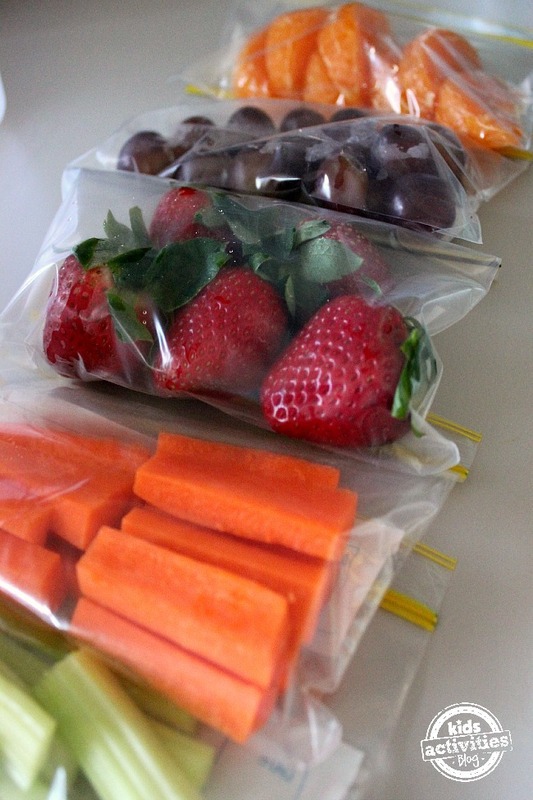 I bundle up fresh fruit and vegetables into individual portions and store them in zip lock bags. This only takes ten minutes and we then have a grab-and-go station in the fridge. The time I spend doing this is saved tenfold by the convenience of the snacks being ready to eat – no more kids standing at the fridge, saying there’s nothing to eat, and me having to put together a plate full of food for them. There are so many options – carrot sticks, celery, grapes, mandarins and oranges, strawberries, snow peas, cherry tomatoes, and blueberries just for starters. 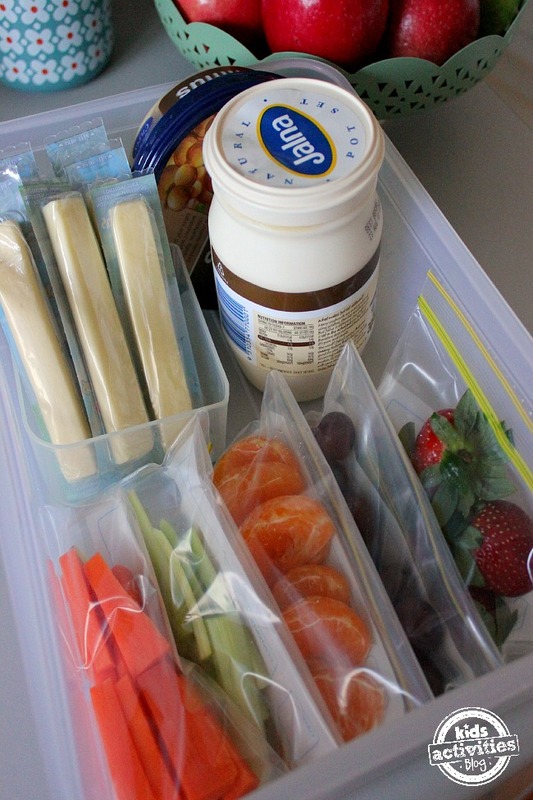 Our fridge snacks also include lots of calcium rich options like yoghurt and cheese. We always have a big tub of hummus on hand as well – super healthy and so yummy! The grab-and-go snacks in our pantry consist of lots of whole grains, cereals and fruit. I like to keep the fruit right in pantry with the other snacks because it means it’s right there in front of the kids – the easier I make things the better when it comes to encouraging healthy choices. 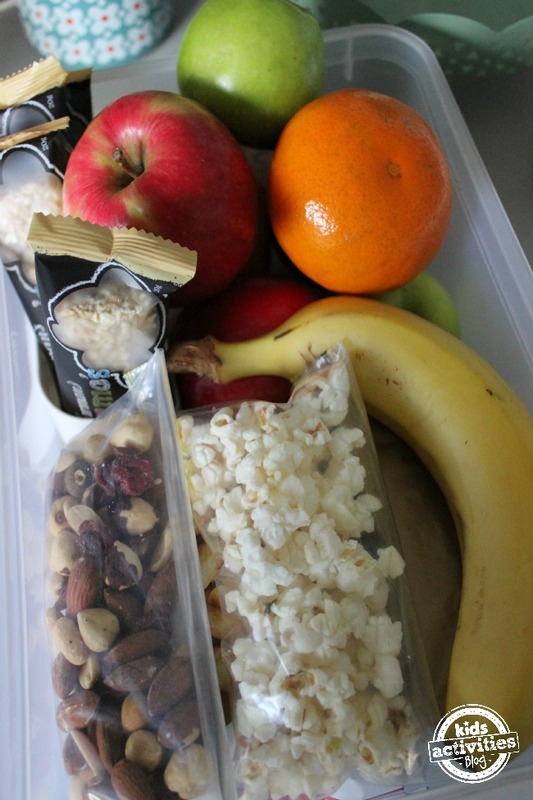 Our snacks will include anything from nuts, muesli bars, wholegrain and rice crackers, trail mix and pop corn. Plain pop corn is a really healthy (and satisfying) snack. It’s so simple to make as well – just pop a quarter cup of corn kernels into a brown paper bag. Cook them in the microwave for a minute and that’s it – delicious healthy pop corn. This has definitely simplified things for me in the kitchen. If you have older kids, they could help with the preparation of the snacks. It would be a great way to teach them about healthy choices! 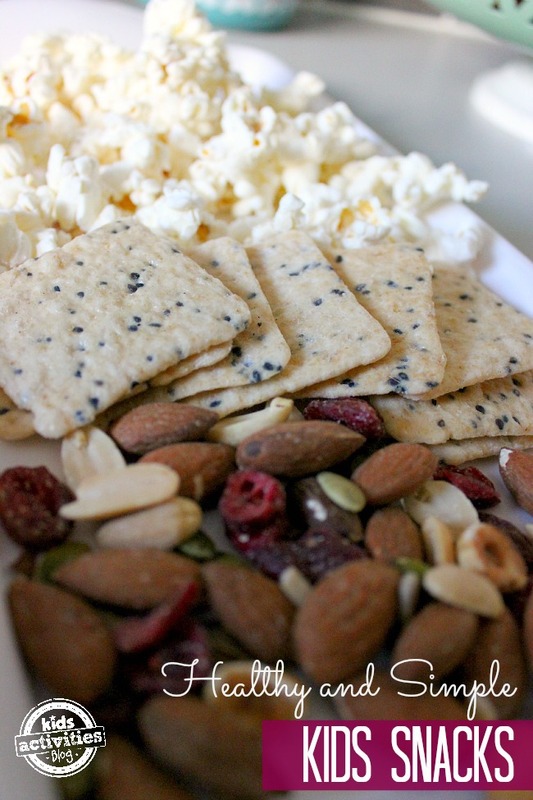 If you have a favorite snack, please share it on our FB page!